Switching to VoIP can offer more features and value to any business. VoIP phone service delivers exceptional features and value to businesses. It is much more cost effective than traditional landline phone services and can be very easy to implement. Let our staff show you how easy business phones can be. Our Hosted VoIP platform will enable you to easily add and change phones within your organization with minimal effort. Enjoy the latest PBX features on any of your Tekify VoIP phones. 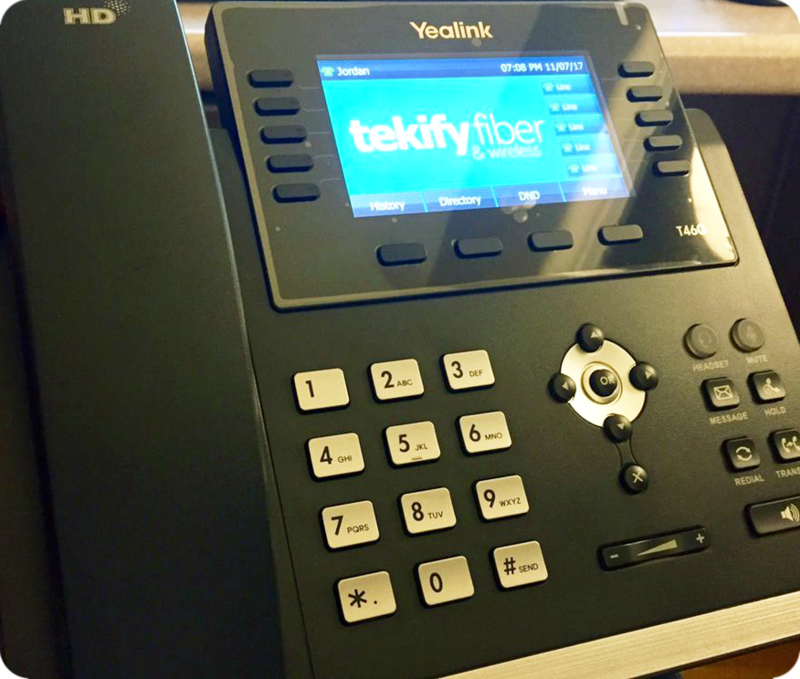 Our Hosted PBX functionality is included with each VoIP Phone provided by Tekify. Offer only valid with individual VoIP phones, below. Receive FREE VoIP Desk Phones with new 2yr and 3yr services ordered by Apr 30, 2019! For information about our internet services, please click Business Fixed-Wireless Internet or Business Fiber Internet. Contact us for specific plan rates, terms, and conditions. We believe in Simple, Reliable & Fast Broadband Internet Service.